Former WWE Intercontinental Champion Seth Rollins was recently interviewed by Iridian Fierro of La Ley 107.9 promoting the holiday week WWE live events in Chicago where he talked about a wide range of topics including losing the IC Title to Dean Ambrose at the TLC pay-per-view event and more. 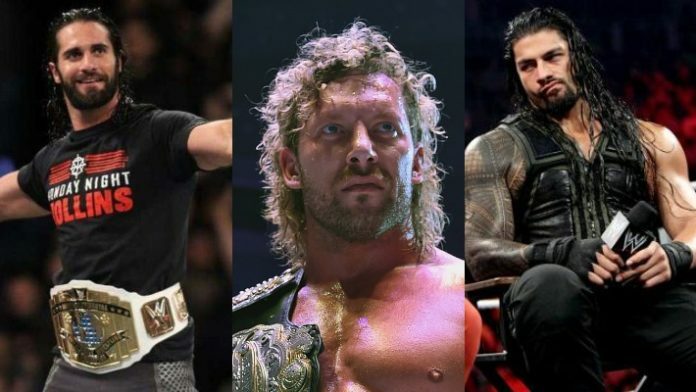 An interesting topic that was asked was about a potential showdown with IWGP Heavyweight Champion Kenny Omega, which led to Rollins bringing up how they wrestled each other about 10 years ago but never officially had a one-on-one match. He continued by stating that when he’s asked who he’d like to wrestle outside of the WWE, he would name Omega because they never faced one-on-one and he’s all about testing himself because of his mindset. Rollins also talked about if he stays in touch with former WWE Universal Champion Roman Reigns, who is currently battling leukemia, which he responded by stating that he talks with Reigns once a week just to see how he’s doing and that Reigns is completely focused about his battle and not about work. Rollins added that it’s nice to hear from him and every now and again, Reigns will ask about what’s going on with WWE RAW but for the most part, it’s just two friends catching up together.